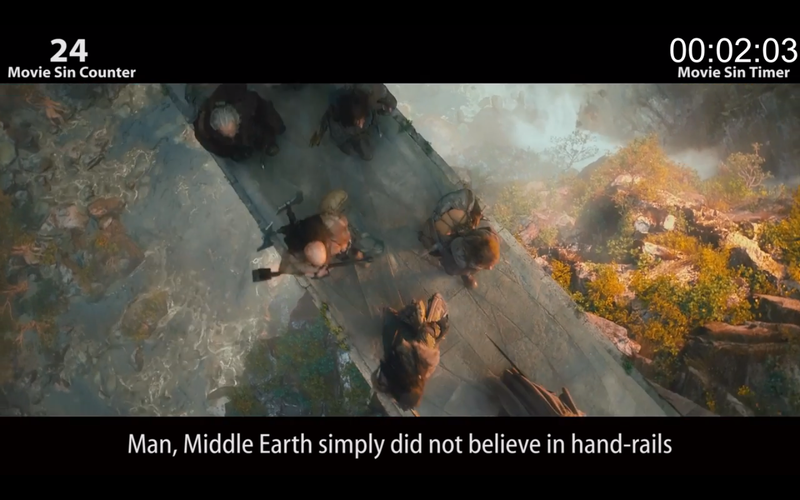 An architectonical observation from the incredibly funny Youtube channel Cinema Sins in the video counting the sins of the first Hobbit film (which by the way contains loads of cool fictional architecture and urbanism). 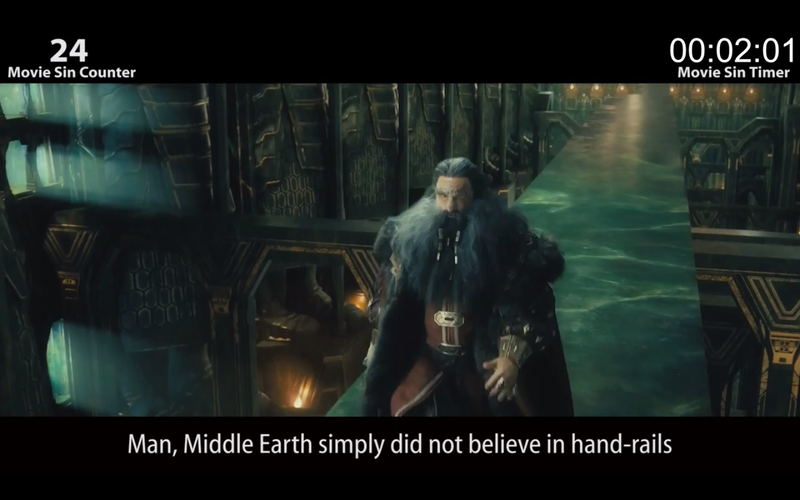 But what is the explanation for this? Why no handrails? Might just be because it looks good, but that doesn't explain how no one would try to prevent the thousands of casualties which inevitably would be the result of this policy. Visual pleasure vs. security is a debate in this world as well (just think of the organisations for people with impaired vision, who wants there to be gigantic glowing yellow arrows and stripes absolutely everywhere), but it's quite easy to see who won in this one.